I didn't get married... yet. 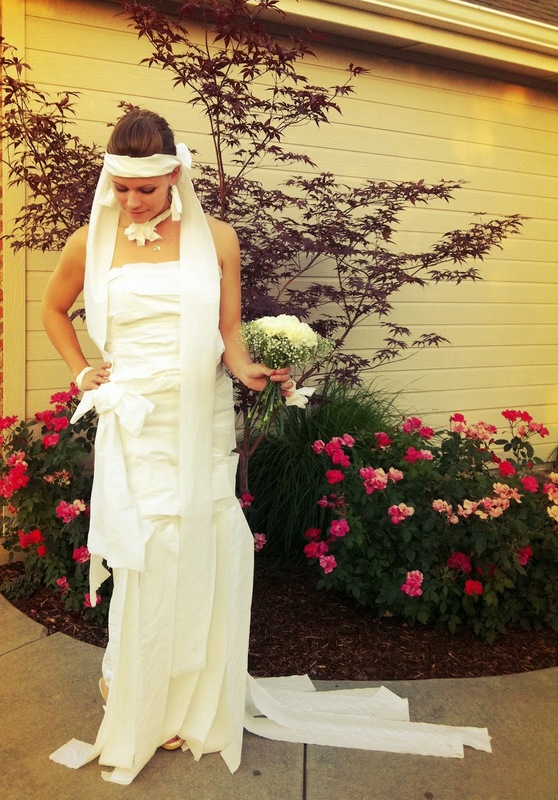 I had the opportunity to model a lovely creation, care of Charmin. 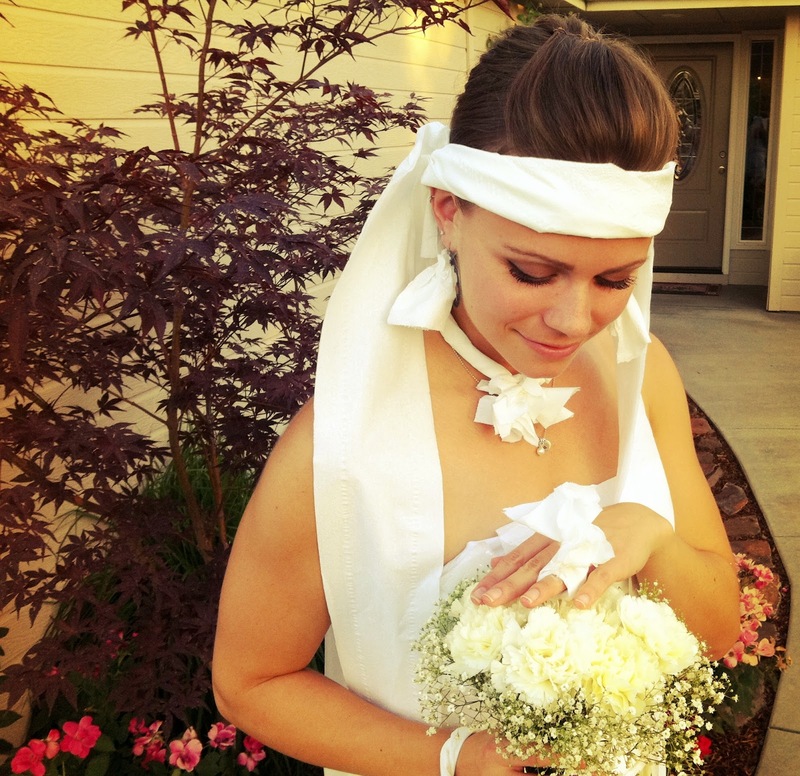 but also a veil, a string of pearls, a diamond bracelet, and my very own 10 carat diamond ring. I mean, now that I'm a style blogger, this is just so up my avenue. I like to call this look TP Fash. Unfortunately, some girls are jelly. Like some of the other girls who attended the shower. They Cinderella'd me out of that dress faster than I could say "I do." I also suffered a Janet Jackson moment in my own front yard. I left that photo out for your convenience. Though I didn't delete it. A big congrats goes out to the soon-to-be newlyweds, Andrea and Jason. Can't wait to celebrate with you both in 10 days. 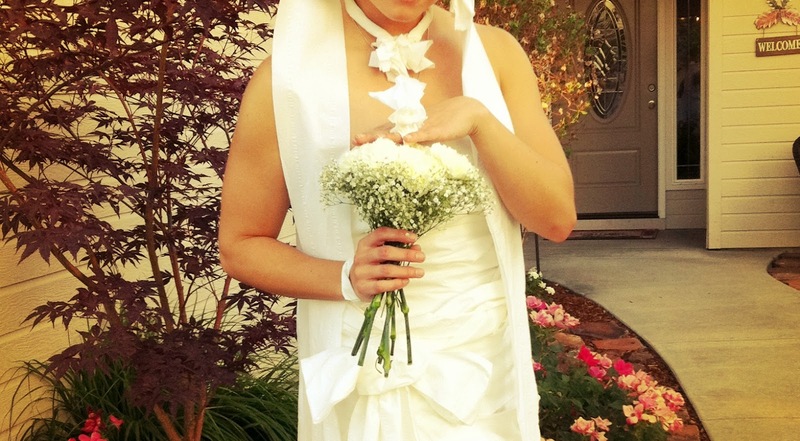 And don't worry, I bought a brand new dress at Francesca's just for your big day. You won't have to be taping my Charmin creation back on anytime soon. Have you heard of Miinto? They're an online retail company that sells designer and fashion items. They offer over 1,700 brands and specialize in local and specialty boutiques. Their goal is to offer a collaborative online shopping site for smaller stores and boutiques to help them achieve an international selling presence. I don't always understand fashion, but I get Miinto. In fact, I would add this, this, and this to my collection in just about 2 seconds. one of their awesome CDALC bracelets! And we're not picking one winner, we are picking three! and then enter the giveaway below. Don't forget to cross those fingers that you win! Giveaway ends at midnight on Saturday the 4th. Haha! This is too cute! 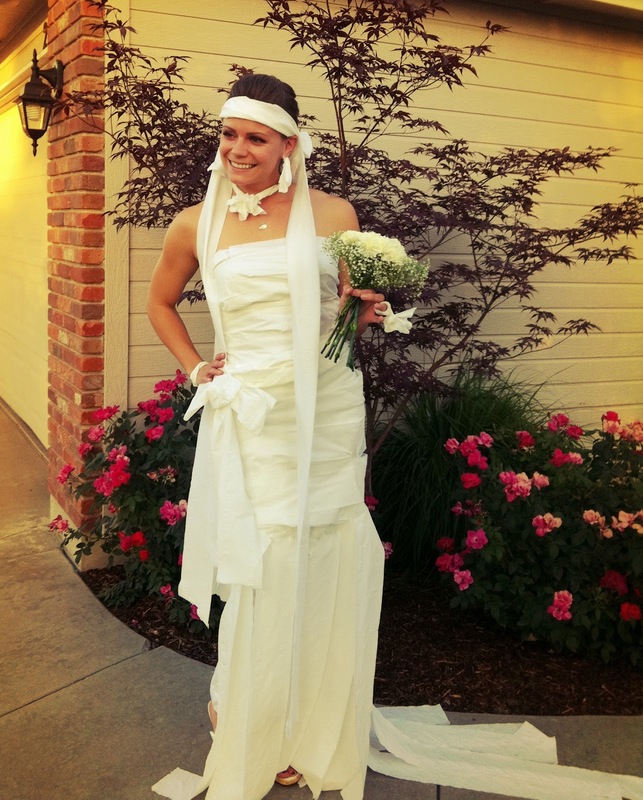 Loved the dress until it was destroyed! Happy Tuesday! this is HILARIOUS! ill have to remember this! hhahaha the dress was lovely! But it's so fragile! Hilarious!! That is all. Lol! I LOL'd at the Janet Jackson moment!!! You are too cute for words!!! 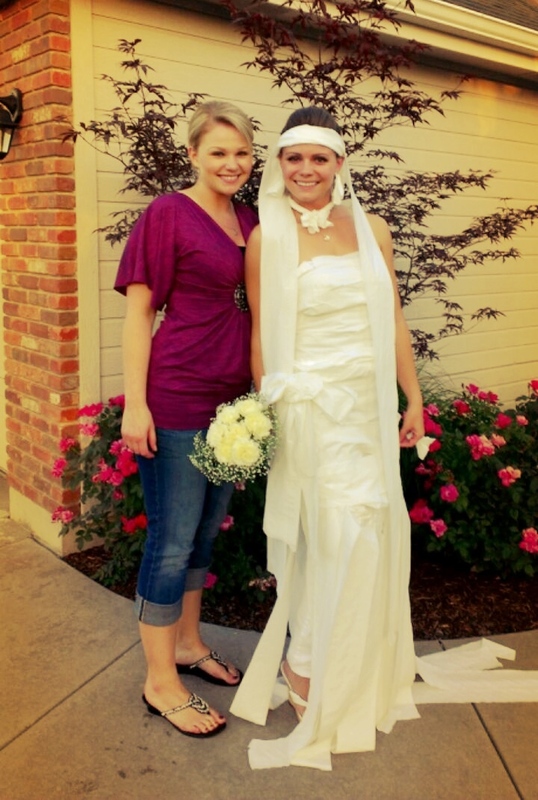 We also sported some TP Fash at my Sister's bridal shower. How fun :) Charmin is a wonderful sponsor!!!! Have a great Tuesday, girl! I love the toilet paper game! So fun! 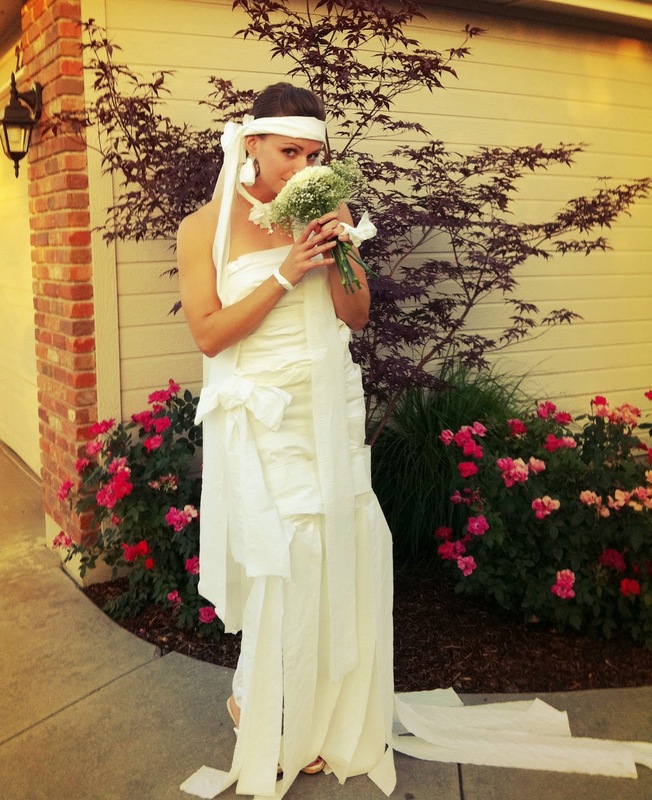 If you are this pretty in a toilet paper wedding dress you are going to be a gorgeous bride!!!! omggggggg this is amazing. you are so funny! 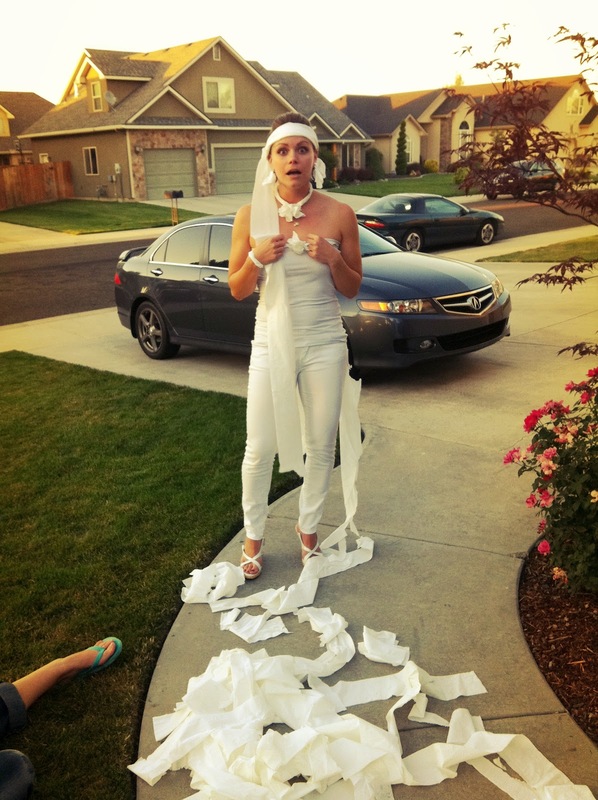 first off thats a fabulous dress you made out of toilet paper, the best ive ever seen & your picture of you after they tore it all off is pricless. i love your sense of humor! very cool! I loved this post! You have a great sense of humour!! Beautiful dress and great giveaway! 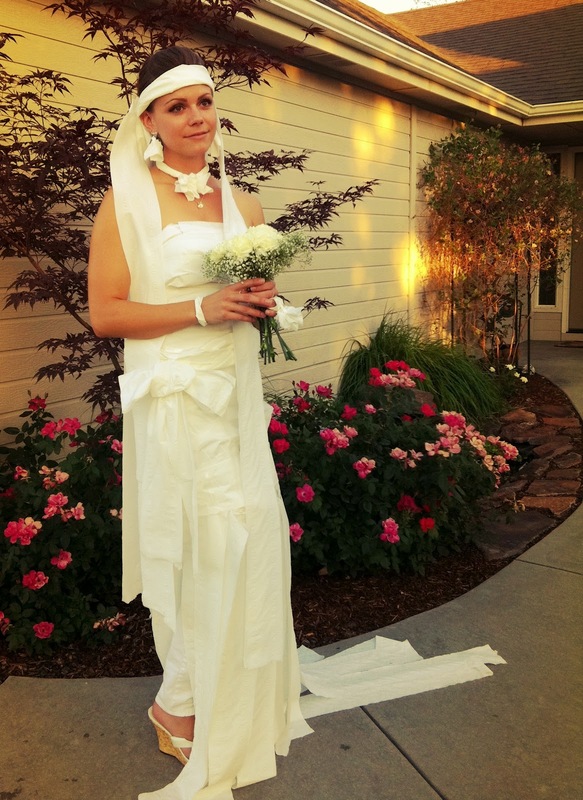 I don't know that I've ever seen such a fancy toilet paper wedding dress! OH my gosh, this is perfect! A TP diamond ring, to boot! :) amazing. Oh my goodness. WHERE did you get those shoes???? Luv luv luv!!! That's why we have been making the assumption that the growth will go being higher internationally than it is going to be domestically payday loans no credit check as a borrower once put it, they need the sba "permit this little fish swim away".